Editor/Author Kumar, Challa S. S. R.
Following an overview of nanotechnologies for diagnostic purposes, this book goes on to look at nanoparticle-based magnetic resonance, molecular and other imaging applications, as well as the potential roles of carbon nanotubes and bionanoparticles in biomedical applications. 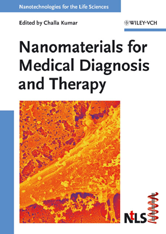 The book's main focus is on drug delivery systems based on nonporous and nanosize materials, solid lipid and polymeric nanoparticles, intelligent hydrogels, core-shell nanoparticles, and nanocapsules, rounded off by a discussion of their biomedical applications. The final part of this volume covers such biomedical strategies as gene therapy, synthetic gene-transfer vectors and targeted delivery.